The 33-year-old will end a successful spell at the Santiago Bernabeu to join the Serie A side in a deal that will cost upwards of €100 million Real Madrid have confirmed Cristiano Ronaldo will leave the club to join Juventus. The Serie A champions swooped to sign the Portugal captain after he indicated that he was considering leaving Madrid after their Champions League final win in May. On Tuesday, Juventus president Andrea Agnelli flew from Pisa to Greece to meet Ronaldo, who is on holiday in Kalamata, and his agent Jorge Mendes arrived from England later on to join them. 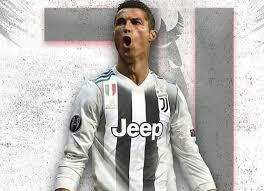 Ronaldo is said to have agreed a four-year contract that will see him pocket €30 million (£26.5m/$35m) per season and Madrid have since confirmed that they have allowed him to make the move to Turin in a transfer that will cost €100m (£88m/$117m) plus €12m (£10.5/$14m) in additional charges. The announcement was followed by an open letter from Ronaldo, in which he thanked fans for their "love and affection" during his time there. Ronaldo, 33, reached global superstar status after becoming the world's most expensive player when he joined Madrid from Manchester United in 2009. During his nine-year spell at the Santiago Bernabeu, Ronaldo won 15 trophies, including two La Liga titles and two Copa del Rey crowns. He helped Madrid to La Decima in the Champions League final with Atletico Madrid in 2014 and played a crucial role in Los Blancos winning the competition in each of the last three seasons. And the Santiago Bernabeu club thanked the star for all he had done during his time there, adding to their statement: "Real Madrid wants to express its gratitude to a player who has proved to be the best in the world and who has marked one of the brightest times in the history of our club and world football. "Beyond the conquered titles, the trophies achieved and the triumphs achieved in the playing fields during these 9 years, Cristiano Ronaldo has been an example of dedication, work, responsibility, talent and improvement... For Real Madrid, Cristiano Ronaldo will always be one of the great symbols and a unique reference for the next generations. "Real Madrid will always be your home." 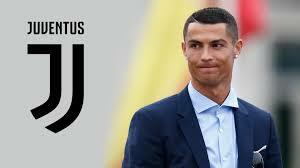 Article continues below Ronaldo, a five-time Ballon d'Or winner, will now have the chance to win a European league title with a third club after completing a shock move to Turin. Madrid, meanwhile, have already denied making bids for Paris Saint-Germain duo Neymar and Kylian Mbappe as they prepare for the 2018-19 season under new coach Julen Lopetegui. The former Spain coach takes over from Zinedine Zidane after the Frenchman surprisingly decided to resign after Madrid beat Liverpool in Kiev.